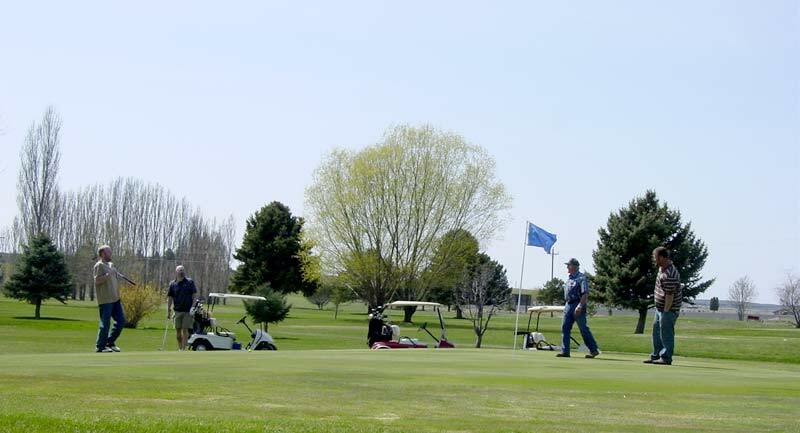 All three of the Lincoln County Golf Courses rarely need a tee time to get on the course. They also all have campgrounds very near by. Pacific Northwest Golf Magazine refers to these 9 hole courses as “Small Wonders” saying, “Thanks to their affordability, quick rounds and accessibility, the unexpected joy of playing these tidy reserves is why we get addicted to golf and go on to seek greater challenges”. This is a fairly short 9 hole course with two sets of tees for both men and women. The fairways are wide and friendly. The green are some of best in the state. They are soft, moderate speed and easy to read. 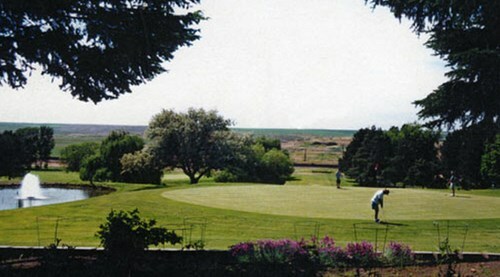 This is now a public course and has been in operation since 1964. Country Lane Campground sits just south of the golf course and Goose Creek RV Park is a few blocks away . The 9-hole course at the Harrington Golf & Country Club facility features 3,166 yards of golf from the longest tees for a par of 36. The course rating is 37.3 and it has a slope rating of 126. Designed by Bob Putman, the Harrington golf course opened in 1962. The course and cafe are open to the public. 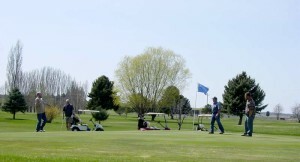 The Harrington Hideaway RV Park borders the golf course. This course was built on rolling terrain and features many rock bluffs in the design. The greens are elevated, and the fairways are fairly wide and tree lined. There are no water hazards on this course, but there are plenty of sand bunkers coming into play throughout the design. There are additional sets of tees that can be used when playing an eighteen hole round. Keep track of the amazing food available on their Facebook page!